In a rare display of bipartisanship in Congress, the United States House of Representatives voted to establish a commission to examine 400 years of African American history. Rep. Bobby Scott (D-Va.) sponsored the bill in the House and Senators Tim Kaine (D-Va.) and Mark Warner (D-Va.) sponsored the bill in the Senate, where it’s waiting to be passed. According to Washington insiders, the bill will most likely pass by unanimous consent in the Senate. Once the bill known as the “400 Years of African American History Commission Act,” or H.R. 1242 in the House, passes Congress, it will land on President Donald Trump’s desk. If H.R. 1242 becomes law, the resulting commission would consist of 15 members, who would serve without pay. The legislation would authorize the commission to create grants to communities, nonprofits and other groups to hold events that would commemorate the anniversary of slaves arriving in the U.S. The commission could hire staff and also accept volunteers to perform its mission. The commission would be required to submit a report to Congress and terminate in July of 2020. In a statement about the bill last year, Kaine said that he’s been lucky to be a part of federal commissions that have been formed to study and celebrate English and Hispanic history. “Well, if English lives matter, if Latino lives matter, then African American lives matter and they’ve mattered every day since the landing of those ‘20 and odd’ African Americans at Point Comfort, Virginia,” said Kaine. 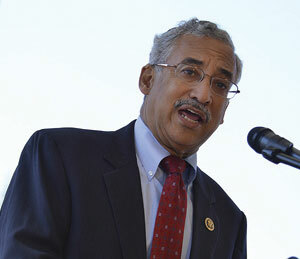 In a floor statement about the bill last summer, Rep. Bobby Scott said that African Americans have contributed greatly to the United States and their achievements deserve to be celebrated. Scott continued: “The 400 Years of African American History Commission Act will be instrumental in recognizing and highlighting the resilience and contributions of African Americans since 1619.